Institutional Quality Assurance Monitoring and Evaluation (IQUAME) certification from the Commission on Higher Education (CHED). Accreditation by the Philippine Accrediting Association of Schools, Colleges and Universities (PAASCU). ISO 9001-2008 Certification by TUV-SUD. Certification from the Canadian Council of Engineering Technicians and Technologists. 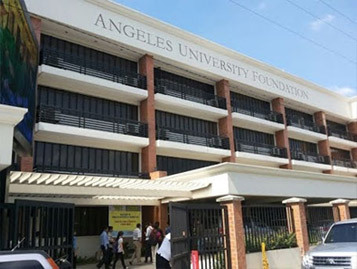 AUF is the only university in Pampanga given the "Technologist" certification for its programs in Civil Engineering, Computer Engineering, and Electronics, and Communication Engineering programs, and "Technician (+)" certification for its BS Information Technology and BS Biology programs. Center of Excellence in Information Technology Education. Center of Development in Nursing Education. Center of Development for Computer Engineering. Center of Excellence in Teacher Education. AUF is among the Top Ten Medical Universities of Philippines; with AUF graduates have the highest weighted average passing rate in government administered licensure examinations in the region, and among the highest passing rates in the country. AUF offers relevant academic programs responsive to the demands of the local and global markets. This quality education is accessible to ALL --- a philosophy institutionalized through various scholarships and grants. AUF has a sizeable foreign student population, with enrollees from India, China, Korea and the United States, among others. Mission Statement - The School of Medicine is committed to promote quality and relevant medical education, thereby producing quality and compassionate medical practitioners with a social conscience, dedicated to the service of God and humanity. Philosophy and goals - Medical education in the Philippines continues to be charged with being so hospital-oriented that it has failed to produce physicians who are responsive to the needs of the country. Instead, its products, being tailor-made for practice in the developed countries, easily leave the country. Moreover, the cost of medical education has become so prohibitive that admission to medical school is almost limited to the elite. 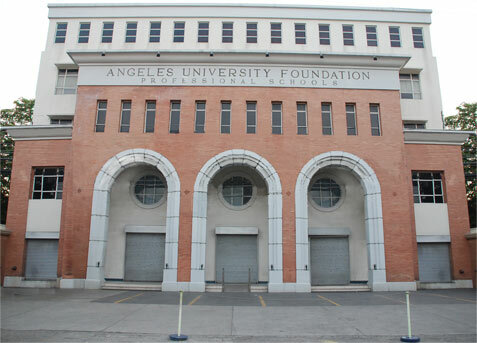 The Angeles University Foundation established the medical school, which is university-based, community-oriented, and committed to develop broadly educated physicians. To prepare the students to practice medicine in the service of God and humanity. To instill within the students the human qualities of dedication to duty, kindness, patience, tolerance, and compassion. To encourage and maintain awareness of the social and economic conditions of the country and of the world at large. To equip the students with adequate knowledge of and skills in the basic medical sciences, the clinical disciplines, and preventive medicine. To motivate the students to pursue expanded expertise in their field of specialization. Provide undergraduate and postgraduate medical education to qualified students, especially in Region III, who will form a pool that will provide the medical manpower needs of the region. Continuing medical education to update medical practitioners in the region on advances in medical science and practice. Contribute to the advancement of medical knowledge and its effective delivery through research. Jose B.Lingad Memorial Regional Hospital. Center for Anatomy Pathology & Laboratory. Medicine Center for Diagnostic Imaging. Sports, Physical & Rehabiliation Medicine Center. AUF has the highest percentage of faculty with graduate degrees in the Central Luzon region, and among the highest in the Philippines. These qualifications are the foundation for its vaunted quality instruction and research; as evidenced by: Institutional Quality Assurance Monitoring and Evaluation (IQUAME); Accreditation by the Philippine Accrediting Association of Schools, Colleges and Universities (PAASCU); ISO 9001-2000 Certification by TUV-SUD; Center of Excellence in Information Technology and Education as accredited by the Commission on Higher Education. Now on its 50th year of operation, AUF has a total of 63 academic programs scattered across 8 colleges plus a Medical and Law school. Purity of Mission and Vision: - Angeles University envisions becoming a center of excellence in instruction, research, and community extension services in the country and in the global community. To realize its vision, the University is committed to the "total development of man for God and humanity." Recognition of Medical Degree from AUF: - AUF is fully recognized by Commission on Higher Education and Development (CHED), World Health Organization (WHO) and listed in International Medical Education Directory (IMED), Education Commission for Foreign Medical Graduates (ECFMG). Thus the students are eligible to sit for USMLE and they may appear for Part 1 and 2 in the Philippines. AUF follows the American Style PBL Curriculum. AUF today operates in four strategically located campuses. It has a total of 87 classrooms, 46 different laboratories, 74 dormitory rooms, 26 discussion rooms and several Internet and audio-visual labs. Fully air-conditioned, these facilities provide a learning environment conducive to teaching, learning and research activities. State of the Art Learning Environment and teaching methodology: - Angeles University Foundation provides an environment conducive to learning. AUF is a modern university with most advanced teaching facilities, clinics, laboratories, air-conditioned class rooms, and well stocked libraries. University provides students with an excellent practices-oriented curriculum and maintains close contact with foreign universities. Foreign students have easy access to obtain jobs in the Western countries. E-Learning: - AUF provides an online student-teacher communication facility through its E-Learning Program. E-Learning is an essential component of modern education. The AUF E-Learning Program allows students to access their lessons, homework assignments, class notes, and even interact with their teacher about their lessons from the convenience of their personal computer. High Accreditation: - AUF is attested according to the highest Level of accreditation. ISO certified Medical facility: - In the clinical courses, students are rotated through various departments of the teaching hospital. The faculty of Medical has a long traditional endeavor. Clinical training is provided in: Angeles University Foundation Medical Center – ISO Certified together with its University and awarded by PhilHealth as the Best Tertiary Hospital in Central Luzon. Learn from the best of all worlds: - Angeles University Foundation COLLEGE of MEDICINE attaches great importance to the international cooperation in the field of medical science and technological developments. AUF continues to benchmark itself against other educational institutions and engage in student and faculty exchange programs with universities both locally and internationally. Aside from its linkages with local affiliates, College has established partnership agreements with institutions from USA, China, Japan and Korea, to conduct joint research programs, colloquiums on program content and teaching methodology, school equipment assistance, exchange of students and faculty, technology transfer and the like. Extra-Curricular activities for over all development: - AUF ensures academic and extracurricular balance through a variety of learning experiences. Opportunities for personal growth are available to students interested in the sports, culture and the arts, youth leadership, campus journalism, and community service. Indeed, cognoscenti have dubbed AUF “the hub of culture and the arts in Central Luzon.” With services such as sports and recreation, guidance and counseling, health and wellness, information technology, student records management, bookstore and banquet, transportation, and dormitories, students are assured of an environment conducive to learning. Availability of Indian Food: -Students at AUF do not miss Indian vegetarian food, as there is an Indian Café (mess), which serves tasteful Indian meals. The College also has several other Cafés serving inexpensive meals, with various choices and tastes. Hostel facility: -AUF provides separate hostel facilities for boys and girls. The hostels are well equipped with A/C, Study Table, Kitchen utility items and cots with mattresses. Located in a modern and “First Class” city: -Angeles City located within the province of Pampanga in the Philippines is locally classified as a first-class, highly-urbanized city ranked 15th in a survey by Money Sense Magazine as one of the "Best Places to Live in the Philippines". The Diosdado Macapagal International Airport inside the Clark Special Economic Zone serves Angeles, which is located in the north-western part of the city. Being the former home of the largest United States Air Force base outside of the continental United States, Angeles endowed with economic and business opportunities. Multinational Campus environment: -Every year hundreds of students from all over world come to AUF to pursue Medical degree. The contact with students from various nations of the world broadens understanding of other people and provides valuable friendships, some of which last a lifetime. Strict Discipline and Code of Conduct: -AUF gives high importance to student behavior. A very strict discipline is followed in the University and Hostels. 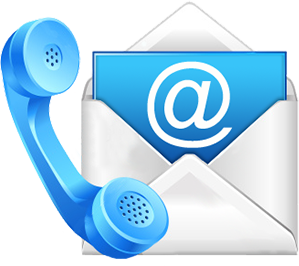 Students activities are closely monitored and regular reports are sent to representatives and guardians. Student’s punctual class attendance is compulsory. Involvement in offensive and ill- health activities is prohibited. Student friendly university: -University has an excellent student support system, to look after the student safety, comfort and monitors the growth of each student on individual basis. The close attention is paid to each individual student is indeed the hallmark of AUF. AUF aims to help each and every student make the most of themselves, in term of academic achievements, physical health and fitness, interpersonal skill and the way in which they relate to the world around them. The Tuition Fee of AUF is to be paid in 11 instalments in 5.5 years, directly to University every six month.